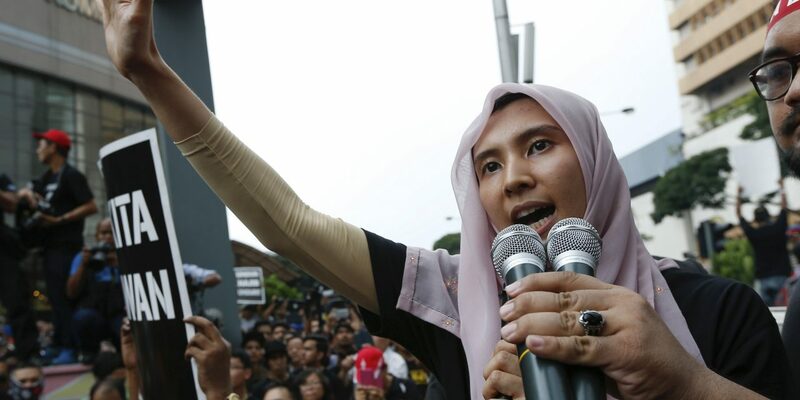 Caption: Nurul Izzah Anwar speaking at a rally. The Malaysian opposition coalition Pakatan Harapan, PH (Pact of Hope), during its annual convention held on Sunday 7 January in Kuala Lumpur has named Mahathir Mohammad, the veteran Malaysian leader, 92 as the candidate for prime minister for the next election. 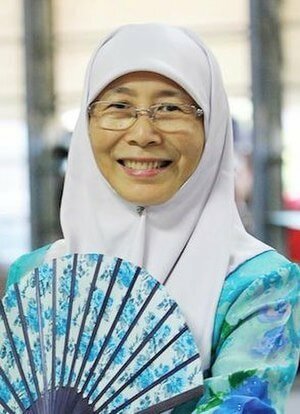 The Malaysian opposition leader and President of one of the coalition partners Parti Keadilan Rakyat (PKR) President Wan Azizah Wan Ismail, Anwar’s Ibrahim’s wife, was also announced as Pakatan Harapan’s choice for deputy prime minister. It is anticipated that Mahathir would serve as interim prime minister until his former deputy Anwar Ibrahim is ready to take over upon his release from prison, where he is serving a politically motivated conviction. Anwar will be released on 8 June 2018 and if the opposition wins, PH has agreed to immediately commence the legal processes to obtain a royal pardon for him, thereby lifting the ban for him to join politics in Malaysia. 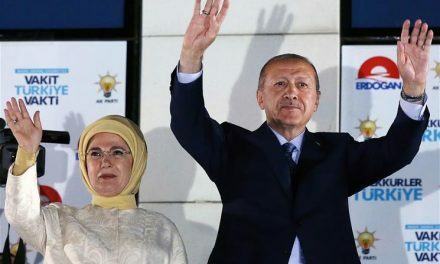 The defacto leader of the Malaysian opposition PH is still considered to be Anwar Ibrahim, while its current Chairman is Mahathir Mohammad and its President is Wan Azizah Wan Ismail. Anwar’s daughter Nurul Izzah Anwar is also an opposition MP serving her second term. PH also announced its seat allocations for peninsula Malaysia for the coming polls, with Mahathir’s party Bersatu set to contest 52 seats, Anwar’s party PKR 51, the Democratic Action Party 35 and Parti Amanah Negara 27. The Mahathir-Anwar coalition and their endorsement of each other is a turnaround from their bitter feud that has shaped Malaysia’s political landscape for nearly two decades. The surprise joining of forces has been planned to defeat the government of United Malays National Organisation (UMNO) led by the current Prime Minister Najib Razak who is involved in a multibillion-dollar corruption scandal. 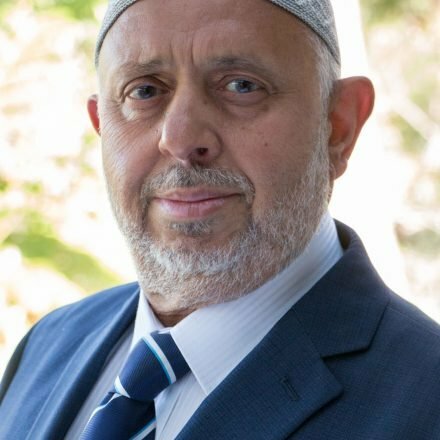 The curious position is that of Parti Islam Se-Malaysia, PAS (Pan-Malaysia Islamic Party) led by Abdul Hadi Awang which is not part of the Malaysian Opposition but has a significant following amongst Malays. It will be interesting to see if it favours UMNO or the opposition during the next election. 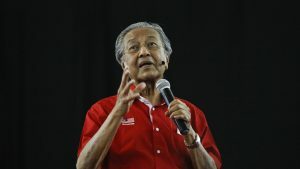 Mahathir said they are putting aside a bitter rivalry to focus on defeating Najib and UMNO, the Najib-led party that forms the largest constituent in the ruling Barisan Nasional coalition. 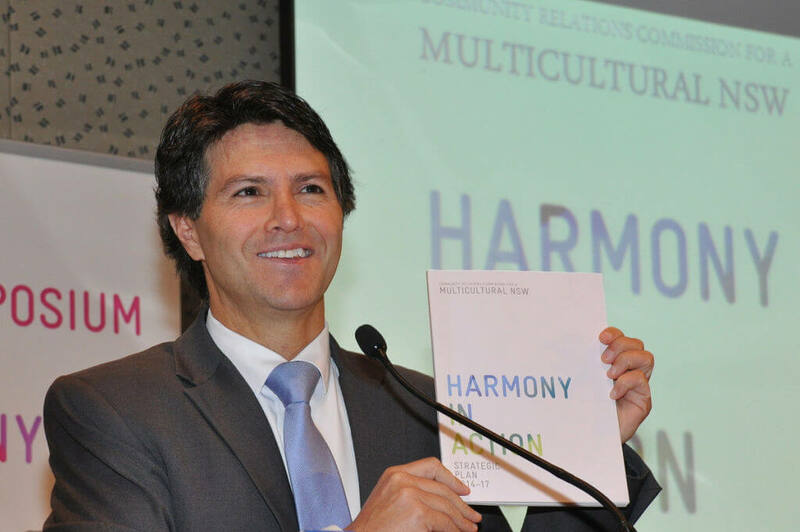 During the annual convention, he declared, “It wasn’t easy for him (Anwar) to accept me. Yes, we could shake hands, but to accept me as an opposition leader against UMNO wasn’t easy. That’s why we took a long time, but in the end, priority was given to the struggle against Najib. Mahathir said that he doesn’t mind “being used by the opposition” to oust Najib, who for years has been embroiled in accusations that hundreds of millions of dollars were stolen from state investments. The US Justice Department is proceeding to recover more than $1.7 billion that prosecutors said were laundered through a Malaysian sovereign wealth fund headed by Najib. Several other countries are investigating state investment fund 1Malaysia Development Berhad (1MDB), which Najib founded and is accused of misappropriating 3.5 billion dollars. 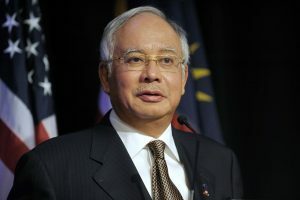 Najib has been accused of syphoning money from the investment fund after $681 million was transferred into his accounts. It needs to be seen if this joining of forces between Mahathir and Anwar can result in the toppling of the corrupt Najib government.